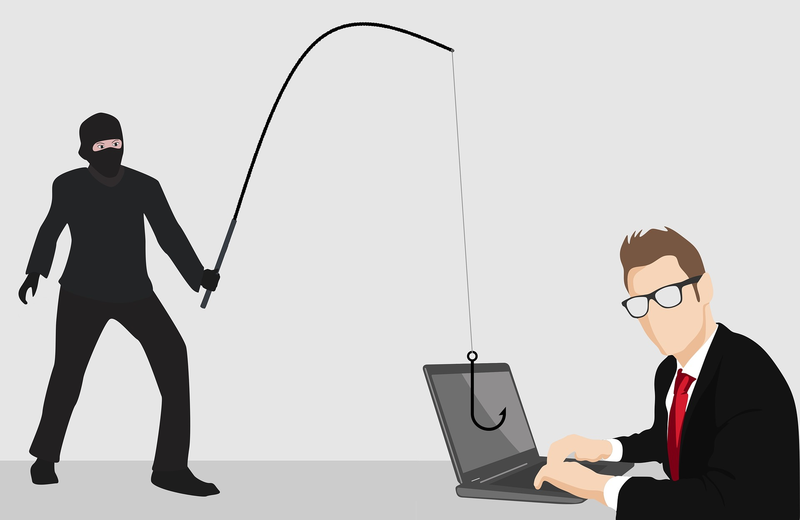 The email messages below, which appear to have been sent by the CashNet USA Office claiming legal actions will be taken against the recipients to recover balance due, legal fees and court cost that has incurred, are scams. The fake email messages are being sent by online scammers and not the legitimate Ace Law Office, to frighten and trick the recipients into sending them money by threatening lawsuits against them. Therefore, recipients of the fake email messages should delete and should not follow the instructions in them. It is important that the public takes precautions when asked to send money via money transfer services like Western Union and MoneyGram, or Prepaid Debit Card to pay legal services or the government. This is because scammers use those untraceable money transfer services to collect money from their victims. Money sent via those services are not refundable, once the scammers have collected or used it. Urgent: Please rectify this matter immediately. This letter is to notify you that we have received a Summons of Garnishment on your wages. This means that someone you owe money to has been awarded a judgment by the court for payment of the debt. The court has ordered us your employer to deduct 25-30% percent of your disposable earnings and make payment to the court on your behalf. This is an important letter and requires your immediate attention. Despite sending you several reminders, we have received no response from you about your seriously past due account of $734.27. We feel we have given you ample time and have been more than patient with you. Therefore, we feel there is no other recourse but to write this debt off of our books by reporting it as a “bad-debt loss” to the I.R.S. Through a 1099-C filing. You can avoid this by remitting payment today for the full amount due. If we do not receive your payment within the next five days, we are going to have to take action. Why am I receiving this notice? The United States, or a State Debt support enforcement agency, certifying its right to garnish your Federal benefits shall attach or include with a garnishment order the following Notice; Garnish wages owed to a Debtor after the Small Claims Court has made an order that you owe money. On January 23rd, 2018 we received a garnishment order from a court to [freeze/remove] funds in your account. The amount of the garnishment order was for $1423.13. We are sending you this notice to let you know what we have done in response to the garnishment order. You can contact your creditor for the settlement amount. If you have any questions about the garnishment, you should contact the persons named on the included Summons of Garnishment by email. Please reach out to us immediately if you would like to set up a repayment plan. I just got a similar email from cashnet.loan.attroney.usa.org@gmail.com. Court House Address- -United States District Court 500 Pearl Street, New York, NY 10007. Attorney Name- Mark Smith (Sr. Attorney in New York Courthouse). We are going to file a lawsuit in next 24 hours at United States District Court 500 Pearl Street, New York, NY 10007. against your Name and SSN. After giving several notifications we did not receive any response from your side. We will consider that you are ignoring this matter and you want to dispute. Note- We are in a process to inform the Social Security Administration & major Credit Bureaus as well. Warrant of Execution (Exceptional Attachment Order). Seizure and sale of movable non-essential assets/property by a County Court Bailiff or Sheriff Officer. You agreed to return the funds from the aforementioned income advancement as per contract. NOTE 1: If we don&apos;t receive any response from your side today, your case file will be downloaded automatically against you. After that, we are unable to help you and you will receive court summons at your door steps with the cost of the lawsuit around $4506.65. NOTE 2: If you ignored this email and failed to take care of this debt than all of your bank accounts will be seized thru major credit bureaus within next seven business days that’s why your co-operation would be really appreciated. NOTE 3: Once the payment made in full then you will get an electronically generated payment receipt stating that your account has been paid off in full with zero balance and your case file is closed. Kindly Co-operate with us so that we can close this case file outside the courthouse ASAP. Once this case file is downloaded we won&apos;t able to help you out. NOTE: THIS CASE IS UNDER INVESTIGATION UNDER MAJOR CREDIT BUREAUS. I received this exact same email. and have never requested a Loan from this Company. My Credit rating is so low that I would not have been approved even if I did. Please beware of these Scammers! Yes. I am interested in resolving this issue. You were working with a debt consolidation company on my behalf but there were issues related to correspondence and resolutions with that so I have cancelled that program and am looking to resolve this accounts now. I would like to work out a payment arrangement or settlement option to get this resolved sooner rather than later. Please let me know the options in writing or you can call me at 5122696637. This Proceeding issued on you Docket No: - CN/358698/N with one of ADVANCE AMERICA INC. Company in order to notify you that after making calls to you on your phone number we were not able to get hold of you so the accounts department of “THE SEMRAD LAW FIRM” has decided to mark this case as a flat refusal and press legal charges against you. We have sent you this warning notification about legal proceedings on March 18, 2017, but you failed to respond on time now it’s high time if you failed to respond in next 12 HOURS we will register this case in court. Consider this as a final warning and we will be Emailing/Fax this issue to your current employer to make sure they take strict actions against you. Your salary and all your wages confiscated. We will be forced to proceed legally against you and once it is processed the creditor has entire rights to inform your employer and your references regarding this issue and the law suit will be the next step which will be amounting to $8679.68 and will be totally levied upon you and that would be excluding your attorney charges. Please let us know what your intention is by today itself so we can hold the case or else we will submit the paperwork to your local county sheriff department and you will be served by court summons at your doorstep. This is your last and final chance to settle this case if you don&apos;t take it seriously, we will surely take hard steps against your name and social and you will be the only person responsible for the legal consequences. By electronically signing this Loan Agreement by clicking the "I AGREE" button below, you are confirming that you have agreed to the terms and conditions of the Consent and that you have downloaded or printed a copy of this Consent for your records. I just received this today, what is wrong with people? Despite my previous reminders, the above invoice for $700.00 remains unpaid. As such, we would appreciate you making this payment as soon as possible. The United States, or a State Debt support enforcement agency, certifying its right to garnish your Federal benefits shall attach or include with a garnishment order the following Notice; Garnish wages owed to a Debtor after the Small Claims Court has made an order that you owe money. On JUNE 15TH, 2018 we received a garnishment order from a court to [freeze/remove] funds in your account. The amount of the garnishment order was for $850.00 We are sending you this notice to let you know what we have done in response to the garnishment order. You can contact your creditor for the settlement amount. I regret to advise that unless payment is received by this invoice will be passed over to a courthouse/lawyer. This could seriously affect your credit rating so I urge you to contact us immediately to make payment or arrange an alternative before this date. Please reach out to us immediately if you would like to set up a repayment plan." Despite my previous reminders, the above invoice for $490.00 remains unpaid. As such, we would appreciate you making this payment as soon as possible. This letter is to notify you that we have received a Summons of Garnishment on your wages. This means that someone you owe money to has been awarded a judgment by the court for payment of the debt. The court has ordered us your employer to deduct 25-30% percent of your disposable earnings and make payment to the court on your behalf." "The United States, or a State Debt support enforcement agency, certifying its right to garnish your Federal benefits shall attach or include with a garnishment order the following Notice; Garnish wages owed to a Debtor after the Small Claims Court has made an order that you owe money. On April 30th, 2018 we received a garnishment order from a court to [freeze/remove] funds in your account. The amount of the garnishment order was for $850.00. We are sending you this notice to let you know what we have done in response to the garnishment order. You can contact your creditor for the settlement amount. This is the last and final chance for you. This Legal Proceedings issued on your Docket Number PR-782367 with one of Cash Advance Inc. Company to notify you that after making calls to you on your phone number we were not able to get hold of you. So, the accounts department of Cash-Advance has decided to mark this case as a flat refusal and press legal charges against you. As a final warning. And we will be Emailing/ Fax this issue to your current employer to make sure they take strict against you. Your salary wages will be garnished. You can Email back to get the payment mode too. America, Cash America Pawn, Cash land, Super Pawn, Cash America Payday Advance, or any company- owned Mr. Payroll locations. “You” or “Your” means you as a participant in or as a user of the products and/or services offered by a Cash Net USA Related Company. WE MAY REPORT INFORMATION ABOUT YOUR ACCOUNT TO CREDIT BUREAUS. LATE PAYMENTS, MISSED PAYMENTS, OR OTHER DEFAULTS ON YOUR ACCOUNT MAY BE REFLECTED IN YOUR CREDIT REPORT. TERMS & CONDITIONS YOU AGREED. NOTE: THIS CASE IS UNDER INVESTIGATION WITH MAJOR CREDIT BUREAUS. Mark Brown Accounting Department Cash Advance Debt Collector Department • 7850 Logo Del Mar DR. Suite 118 • San Diego • 92119 • California • USA This message is confidential. It may also be privileged or otherwise protected by work product immunity or other legal rules, if you have received it by mistake, please let us know by e-mail reply and delete it from your system; you may not copy this message or disclose its contents to anyone. Please send us by fax any message containing deadlines as incoming e-mails are not screened for response deadlines, the integrity and security of this message cannot be guaranteed on the Internet. As we put your Social Security Number into our National Checking Database System, we found that you have been never charged for a fraud activity & that’s the reason Court House has decided to give you a chance to take care of this issue outside the Court without having a report on your Credit History and Social Security Number. We regret that if we do not receive your response within the next 72 hours, we shall have no alternative but to take action through your local County Courthouse to recover the amount due together with court costs and legal fees which cost approximately 3025.86. And as per the agreement the funds have yet to be returned and the collateral has proven to be null that is to say of no value. If you have recently settled this account, please contact us immediately to avoid further action. Otherwise, payment options are set out overleaf email us right now to pay or agree to a payment plan with us.